Just to clear up something - this is NOT a Middle Grade novel. It's Young Adult. Just saying. 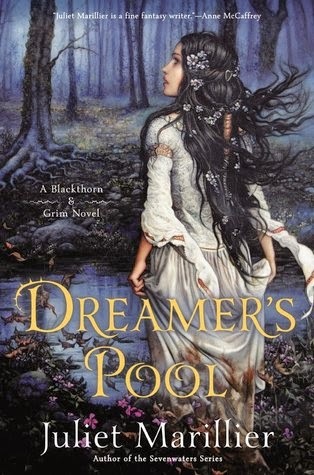 I featured this book as my Waiting on Wednesday choice a few months ago on a whim - I didn't know much about the book, except that it was a fantasy novel, and it sounded epic. I hadn't read any of Somper's previous novels, though my sister had, and she said she enjoyed his Vampirates series. So, when the publisher sent me this book, I was thrilled! A chance to read a book that I already wanted to read, even if I knew very little about it. I ended up really enjoying this book - all 500 pages of it (or thereabout). This book is told from several different perspectives, including that of Jared, Asta, Axel, Michael, Koel, and others. Some are minor characters whose perspectives we only see once, but others, like Jared and Asta, we see time and time again. There are many, many characters in this book, but surprisingly, it is very easy to follow each character without getting confused. Prince Jared is one of the protagonist, and he is surrounded by a large court. There are twelve officers who counsel him. Jared's mother the Queen, his younger brother Edvin, and his sister-in-law Silva are also close to Jared. There is Asta, the niece and apprentice of the Physician (one of the twelve of the counsel). Her role is crucial in this book, as it is her intuition and investigating skills that bring the truth to light. This book takes place in less than a week. Actually, I think it is exactly five days. I KNOW. Five hundred pages = five days. Crazy, right? But I think it's incredible, because Somper goes into all of the ins and outs of the life of a new Prince who has the role dumped onto him, after the death of the reigning Prince. It's so amazing how intricate and detailed this book gets, from meetings to speeches to private audiences... Somper really convinces readers of what he thinks a royal's life is like, especially after the death of a royal. That was one of the things that really struck me, how well-done the tiny little details are. The world-building is pretty great too - I love this fantasy setting. It's not too different from what you would typically think of when it comes to kings and queens and kingdoms and whatnot, but Somper has his own spin on things. This world felt very political and almost modern, but I suppose that makes sense, because even in the medieval world, politics weren't all that different from the politics of today. The characters, as I mentioned, are many, but very easy to pick apart and follow. I love the character development of Jared - he changes a lot, in less than a week. Of course, when you're following every intimate detail of a person's life, like readers are in this book, you can very clearly see how the protagonists change. I wouldn't say that Asta, the other protagonist, changes as much. I really like her! She's very smart and inquisitive, and she is genuine. She and I are very similar, I feel. This book is CRAZY. The politics, the scheming, the plotting, the twists and turns... I barely saw any of anything coming. I saw ONE thing happened, with Anders and the locket and the private bathhouse, but that was about the only thing that I solidly discerned. The assassin? Nope, didn't see it coming. And this is ME, the girl who usually can divine plot twists from early in the book. But that is great! It kept me on my toes. Somper really surprised me with all of the twists and curveballs, and I was always turning pages, trying to figure out what was happening. This book wraps up well, tying up several parts of this book, but there will be more books in this series, especially after that ending. In terms of Prince Anders, things are cleared up. But there is a larger threat at hand, and it is tied to Prince Anders' assassination. YAY for more craziness! I love it. At this very moment, I can't really think of anything specific that I didn't like about this book. I'm hoping to see the appearance of romance in the next book - I can see it happening between two specific characters in book one. I like that Somper is drawing it out, to develop the romance, if that's what he's doing. If you like books like this, that are heavily politically driven, then this is definitely one that you should not miss. In a way, this book reminded me a little of Grave Mercy by Robin LaFevers, with all the scandal and duty and plotting and scheming. I love that type of novel, but I know that not everyone does. It's very intelligent and careful and tricky, not light and filled with nonstop action. Although there was plenty of action in this book. There was also a lot of considering and puzzling. 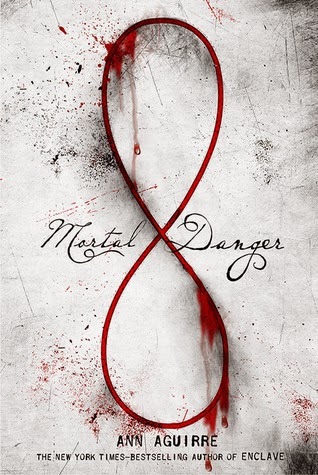 I really liked this book, and I hope that if this seems like a novel for you, that you enjoy it as well! 4 stars. 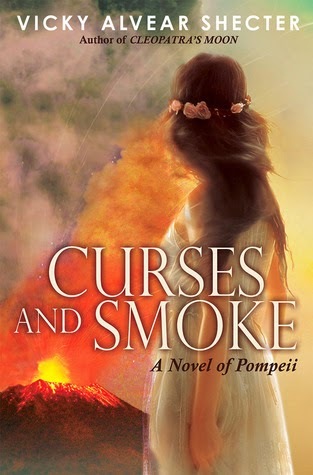 What an intriguing fantasy novel! I absolutely love novels like this - one that features a fantasy world with plenty of scheming and twists and turns and mystery. Political scandal and machinations? I'm all about that! This was such a great book. I cannot wait to read book two! This book is quite different from this author's historical fiction series, The Secrets of the Eternal Rose. Overall, I really enjoyed that series, though I had a rocky start, with Venom. I highly recommend that series, especially to fans of historical fiction, like me. Anyway. I was thrilled to see that this author had a different novel coming out in 2014, even if it is a contemporary novel (in which we all know I'm not a fan of contemporary novels). I knew I would be reading this book, regardless of my genre preferences. I'm really pleased with how much I liked this book! Lainey is super excited for her senior year of high school, because everything seems perfect - boyfriend, soccer, grades, friends, LIFE. But then Jason dumps her in her parents' coffee shop in front of everyone, and Lainey is crushed. There goes her perfect senior year. But she and her friend Bianca come up with a plan based on The Art of War, to get Jason back. 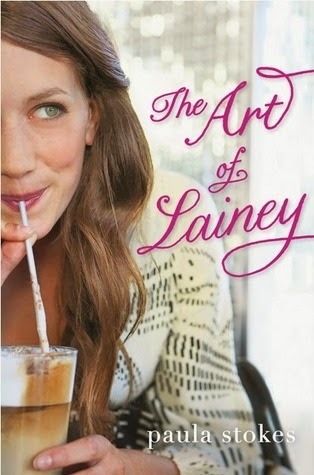 Lainey will fake-date Micah, a boy who works at her parents' shop, in order to make Jason jealous. But that plan backfires a little, because Lainey totally falls for Micah. Confused? Yes, she is. I absolutely LOVE how much of an influence The Art of War has over this book. The text is quite interesting, so applying it to relationships and ex-boyfriends is really cool. Don't worry if you're not familiar with the text - Stokes makes it very easy for readers to comfortably understand The Art of War and how Lainey uses it to try to get Jason back. The influence of such a novel makes this book seem so much more intelligent and clever, and I love it. I thought I would dislike the love story, to be honest, because for one, it sounds like there is a love triangle present in this book. Also, it's kind of a cliche relationship, right? Use a boy to make another boy jealous, only to fall in love with the boy you're using. But both of these aspects were sort of avoided in this book, or at least, they didn't bother me. I can't really explain how Stokes does it, but she circumvents the love triangle bit really well, making it clear to readers that there really is only male for Lainey, and that Lainey is the only one for that male. Also, while the skeleton of the relationships in this book seems cliche (how Lainey uses one boy to make another jealous, but falls in love with the other), the specifics of the romance really weren't cliche at all. It was interesting to see how the characters influenced the development of the relationship - I think that made a huge difference. Lainey is a unique character, though I can't say I would like her in real life. She starts off in this book as really shallow, and honestly, she stills seems a little shallow by the end, but not as much. Her character changes enormously from cover to cover, and I like this change. She finds herself, learns host to survive with Jason, how to be herself without Jason. That is something that doesn't just happen overnight, because she was with Jason for more than two years. That's a long time to get comfortable with being the person that he wants you to be, especially since you're still developing your personality (if you know what I'm saying). Micah isn't what I expected him to be. I like his "bad" aspect - although I could never really get a feel of how old he is. I think he goes to the same school as Lainey, which would make him the same age? But he always struck me as a college-age guy. Either way, there is so much more to him than tattoos and piercings and rumors, and I like him. I know for a fact that we would be friends in real life, judging his personality. Hats off to Stokes for choosing soccer to be a THING in this book - a huge thing. If you're a Twitter follower, then you know how much I enjoy my sports, especially football (Hala Madrid! ), so I thought it was great that Stokes featured the sport in this book, and made it such a huge part of the book. Soccer is Lainey's life, it seems, or a very large part (for the most of the book, it seems like Jason is Lainey's life). I have a friend here that sees soccer in the same light - soccer is his life. Without it, he's not HIM. It would kill him if he had to stop playing, if someone took it away from him, if he couldn't even practice. I love that passion, and I'm happy to see it in this book. This story is pretty awesome, if you ask me. Lainey follows The Art of War to get Jason back, but she ends up discovering herself and her own love life. This book isn't just focused on the romance, though it might seem that way. There is more going on, with friendships and soccer and a teenager's future. Stokes hits a lot of issues that teenagers face, in a way that isn't too morbid or depressing. In fact, the mood of this book is very light and almost silly, despite the fact that it follows a break-up. If you couldn't tell by now, I really liked this book! I'm really happy that I had the chance to read this book (thank you, Paula! ), and I'm definitely excited to read this author's books in the future. I think the only thing that bothered me at all was that it took a while for me to get into this book. The first part of this book was a bit difficult for me to read, for some reason. I wasn't entirely sucked into the story. Of course, we need to remember that I'm not a huge fan of contemporary (or contemporary romance) novels, so this could just be a "me" thing. But personally, I thought the first third ish of the book was a little boring, or slow, perhaps. 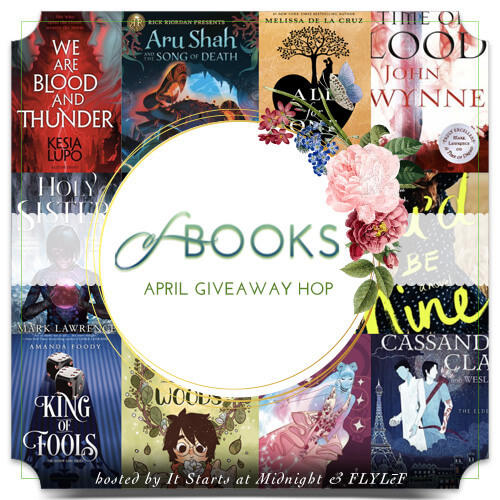 If you're a fan of contemporary novels, you'll definitely want to check out this book! And even if you're not, this is still one that I think anyone can enjoy. 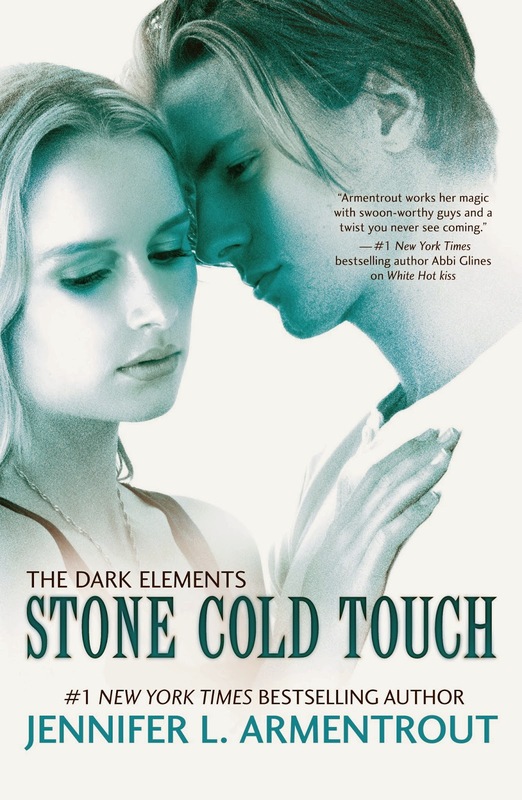 I'm not a contemporary fan, although I do enjoy a contemporary romance novel every now and then, so I was really happy when I ended up really liking this book overall. So, contemporary fan or not, this is a book that I think anyone can like, if they give it a try! 4 stars. 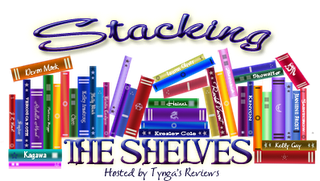 I'm four for four with Paula/Fiona's books! I think I prefer her contemporary novels, but of course, I've only read one of her contemporary novels. I'll definitely be catching Liars, Inc., when it comes out next year! So, what did I get in the week of Sunday, April 20th to Saturday, April 26th? I love the sound of this one, because FANTASY! And romance! Win! I really hate the phrase "I can't even". So many teenagers (and adults, and adolescents, and kids) say that phrase all the time, and I HATE IT. What does that even mean?! You can't even WHAT?! Are you sure you CAN'T do whatever it is that you think you can't do?! Because I'm pretty sure you're quite capable of whatever it is that you're refusing to do or acknowledge or whatever. Anyway. For some reason, I thought of that phrase when I thought of this post, and my life in general. Usually, on Fridays, I post a review of a post-published novel (today's was supposed to be a review of Black City by Elizabeth Richards). However, as some of you may know from Twitter, I no longer have my laptop. On Tuesday night, it just would NOT power on. I've never dropped my computer, or spilled anything on it, and it's never fallen off a table or bed or something. It's new - I've had it since August 2013. So. I have not been able to use my computer since Tuesday night. I'm a teenager, I'm a university student, and all six of my classes require the use of a computer. Heck, I'm in a PROGRAMMING class this semester. I had programming homework due Wednesday afternoon, and I wasn't able to do it! AND the professor wouldn't give me an extension! Yes, I know the school has plenty of computers available for use. I know, believe me. But do I want to go to the library specifically to use their computers? I have to sit in a computer lab, with no table space, none of my already-logged-in accounts, no privacy... that's hard, guys. That's really hard. Convenience really is a beautiful thing. On top of this, I've been sick since Sunday. Like, bad sore throat, terrible sneezing, congestion, stuffy and running nose (at the same time, what), no voice. As of right now, I'm feeling better, but Tuesday night? It was stressful and I was so sick. Wednesday? Even more stressful, disappointing, and still sick. Oh and I have a huge exam on Friday. Whoopee. A friend let me borrow his laptop for a few hours while he was at practice (he'll never know how much he means to me, even from just this super nice gesture alone), so as of 8 pm on Thursday night, I have caught up on all comments and replies, as well as I have scheduled this post for Friday, and I'm going to schedule Saturday's STS post right after I do this one (it's kind of dismal, so it's not much of a post - don't get too excited). I'm a perfectionist, and I have not missed a day of posting on my blog, so I'm not going to start that now. In lieu of a review (ha, that rhymes), I have this sob story of my week (partially). April really has NOT been treating me well (there is so much going on besides this), but at this point, I'm just kind of doing this. I'm powering through this s***storm/h***week/whatever the f*** you want to call it, because I REFUSE to let these kinds of things, the ones I can't control (ha, says the control freak that is me) command my life, my thoughts, my emotions. I don't think I've ever cried so much in life before Tuesday night, when my computer wouldn't turn on. It was just the LAST possible thing I needed, just one more thing to add to my already crumbling, drama-filled life. I love you guys, my followers, my friends. Thank you, Pili, Alexia, Amy, Jessica, Kelly, and Alexis, for asking me how I'm doing, or giving me kind words of encouragement. Thank you, Victor, for doing more than you know, even without doing anything at all. 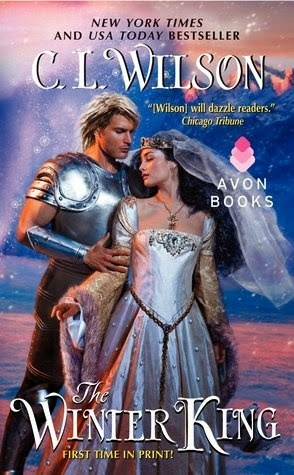 This week, my swoon is from The Lovely and the Lost by Page Morgan! "Is he courting you?" he asked, his voice hoarse, his eyes sooty malachite. "No. But you should know-"
Luc kissed her, stealing away the rest of her confession. Ingrid let it go, tasting again the wild spice of his lips, his warm breath as it mingled with hers. She gave herself over to the touch of his tongue, the rock of his body as he crushed her closer. He wanted to make her a part of him, and she wanted that, too. To dissolve into him, sink deeper, into a place without an end. He explored her hips and hitched them flush again his own. 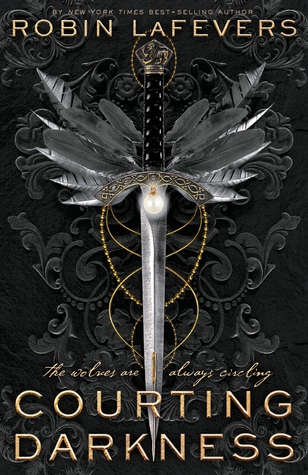 Read my review of book one, The Beautiful and the Cursed, HERE. 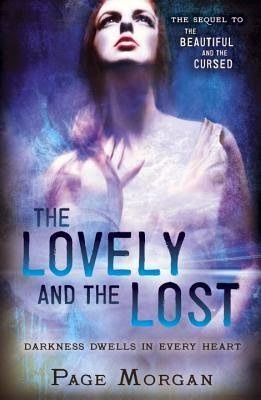 Read my review of book two, The Lovely and the Lost, HERE. I personally haven't read any of this author's books, but I LOVE the covers of these books. 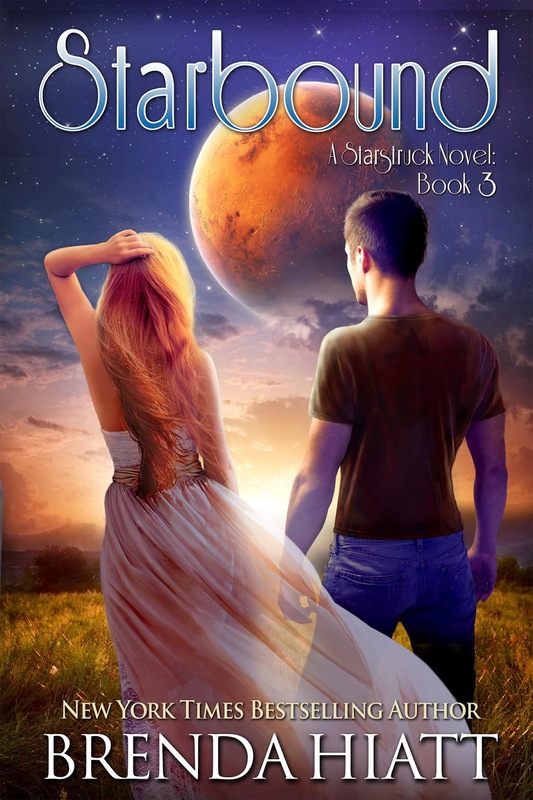 Paranormal/science fiction with romance? Heck yes! Being a Princess isn't all it’s cracked up to be! Brenda Hiatt is the New York Times and USA Today bestselling author of nearly twenty novels (so far), including traditional Regency romance, time travel romance, historical romance, and humorous mystery. She is as excited about her new young adult science fiction STARSTRUCK series as she's ever been about any of her books. 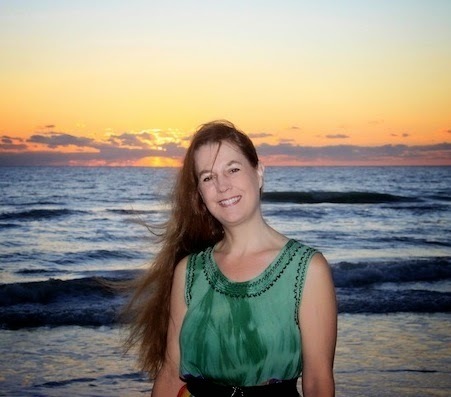 In addition to writing, Brenda is passionate about embracing life to the fullest, to include scuba diving, Taekwondo, hiking, traveling, and reading, of course! For the past dozen years, Brenda has collected data on writers' earnings, which she shares at http://brendahiatt.com. Trina saw me coming from across the cafeteria. She whispered something to her friends, then just stood there, smirking, as I closed the distance between us. My right fist positively itched to punch that smug face but I reminded myself—firmly—that I could not afford to get expelled for fighting the day before leaving on our trip. Something in my expression must have scared her, though. Her smile slipped for a second and she glanced at her friends again, as though to make sure they were still there. “Is there a problem, Marsha?” The smirk was back, her voice full of fake, syrupy sweetness. Her smile turned ugly. “Yeah? You really want the principal and your aunt and everybody to see this picture?” She held up her phone. Before I could stop myself, I looked—and nearly gagged. It was me, all right, apparently in the naked throes of passion with some faceless guy. Now I knew why she’d been snapping pictures of me all week. This one was actually me laughing, but in its new, nasty context it totally looked like I was doing something else. No wonder Rigel and Sean were so upset! I didn't even want to think what my aunt or anybody else would think if they saw it. “Aren't you the Photoshop wizard?” I hissed, trying to decide what to do. Her sneer broadened as she sensed my hesitation. “Aren't I? In fact, I’m so proud of this, I think I’ll post it online so everyone can admire it. All I have to do is push this button—” Her finger hovered over the screen of her phone. I didn't dare assume she was bluffing. More quickly than she could react, I snatched the phone out of her hand. I’d shorted out electronics by accident all my life, but this was the first time I’d ever tried to do it on purpose. It was surprisingly easy, especially since being upset always made my static problem worse. The moment I touched the phone it crackled and the screen went black. “You—!” Her hand flashed out to slap my face, but I was much too quick for her and dodged away, instinctively whacking her hand aside with a taekwondo block. “We’re not on the playground now, Trina. Your days of beating me up are over. Or do you plan to have your posse hold me down, like you used to do in elementary school?” The other cheerleaders, though, had backed away, joining the loose circle that had formed around us, watching avidly. Trina’s eyes narrowed nastily. “I could always take you, Marsha, posse or not, and I still can.” Her pretty face distorting into something almost bestial, she aimed a punch at my nose. I dodged that, too, but she caught me in the shin with one of her pointy boots, then immediately lunged at me again. “Even? Not a chance! I’m sick of you getting everything I want!” She shoved her phone into her pocket and rushed me, both hands ready to claw my face. Fast as she was coming, it still seemed like she was moving in slow motion. I waited until the last possible instant to sidestep her. With no time to stop or change direction, Trina slammed so violently into the table behind me that she doubled over and smacked her face hard onto its top, scattering abandoned lunch trays. She screamed and whirled around, green Jell-o and blood streaming down her face. “How did you—? Where—? You broke my nose!” She flung out an accusing hand, pointing at me. “Girls, is there a problem?” It was vice-principal Pedersen, the “Warden.” Over his shoulder, I saw Ms. Harrigan, an Echtran who’d been posing as a student teacher to keep an eye on me since before Christmas, watching with shocked disapproval. Great. A babble of voices broke out, some supporting Trina’s story and others denying it, but Mr. Pedersen just held up a hand and it stopped. CHECK OUT THE NEW SERIES WEBSITE! Brenda is revealing her new website for this series HERE! 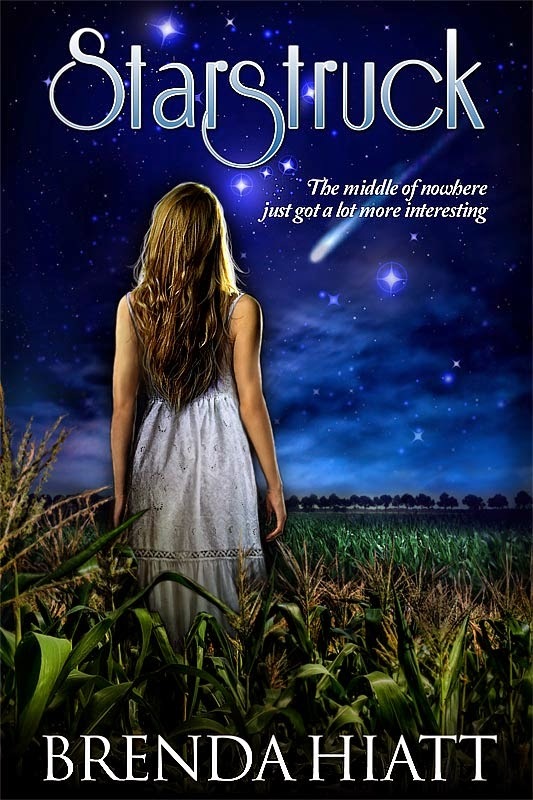 Go explore it and learn more about the Starstruck books! 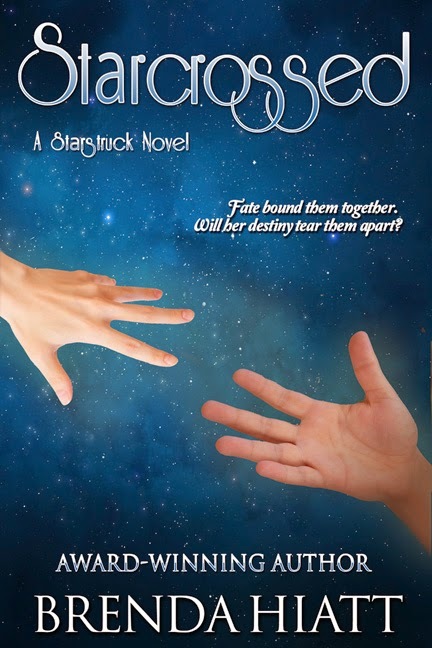 Win e-copies of Starstruck and Starcrossed (format of the winner's choice) - open to ANYONE! Good luck! So, you all know from yesterday's post that I binge-read book one and book two of this series, one on Friday, one on Saturday. So, book one's review went live on Monday, and this book's review is live on Tuesday. I don't usually binge-read books like that, but I think it's a great idea when you have several books in a series, because you are less likely to forget what happened in the previous book. Of course, you're liable to mix up events in books one and two. But I'll take that risk. But anyway. I loved the first book, and I loved this book. This book picks up a little after where book two left off. Ingrid has been raining her powers with Monsieur someone (for the life of me, I cannot remember his name), someone of the Alliance. Gabby has been training with Chelle. Luc has been avoiding Ingrid, even though that's basically impossible. There is a new gargoyle, Dimitrie, who is supposed to protect the Waverlys, with Luc. But things are not as they seem. Ingrid and Grayson are still being hunted (especially Ingrid), so much so that it feels like Ingrid against the world. All the while, Nolan's father is thoroughly against Gabby's role in the group. What is happening?! Just like in book one, there are many things going on at once. Each important character sort of has their own point-of-view in this book, like Ingrid, Grayson, Luc, Gabby, and so on. This adds to the depth of the plot, because every character has a different role in the story, and a different part of the plot. Like the last book, it all comes together in the climax, and then disperses again. I actually really like this structure. Also, you'd think it would be confusing, with multiple subplots, but it's not at all! Character development is, as usual, excellent. I didn't expect to see a lot of character development in a sequel novel, but the protagonists continue to develop in this book. I really like how Gabby's character is progressing. I liked her in this book, and I like her even more in this book. Ingrid kind of stayed the same, and I actually didn't like some of her actions, but she's cool. Luc continues to be my favorite character. I feel so bad for him in this book. Nothing is his fault, but everything gets blamed on him. And nothing goes his way. And he's still going on. He's just this poor old gargoyle who shoulders all the blame for everything and doesn't get anything in return. I love his character, his nobleness, his stubborn attitude, HIM. As far as sequels go, this book does exactly what a sequel should do. It builds on what was given in the first book, and sets up a bigger picture for the third book. The overall series' climax is coming in book three, and this book does a good job of getting readers to the overall series' plot. Some serious sh- um, STUFF, is going to go down in book three! The romance. I've been avoiding the topic of the romance, because like book one, it's not all that clear-cut. The romance is beautiful and heartbreaking and BEAUTIFUL. I really hope that things work out for Luc and Ingrid in the end... Team Luc for the win! Overall, this book was great. This SEQUEL was great. No sequel slump for the win! I cannot wait to read book three. 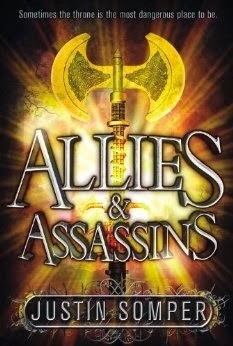 This is seriously becoming on of my favorite historical fiction series. It WILL be, if book three is agreeable! Please be agreeable. Please, please let the romance go in one direction and one direction only. PLEASEEE. YESSSSSS! I loved the first book, and I love this book. If you've read the first book, regardless of whether or not you liked it, READ THIS ONE AS WELL. If you haven't started the series, YOU SHOULD DO THAT. Immediately. Especially if you like historical fiction. 4 stars. What a great sequel! I'm so happy that this book lived up to my mounting expectations and did not disappoint me. I was seriously afraid of certain things not going in a certain direction (being vague on purpose! ), but I'm really happy with the way things are shaping up. I hope the third book is amazing! And that certain things work out in certain directions. Hint hint.